You have probably already heard about that Apple Cider Vinegar has been used for thousands of years by us humans. Most of it is used in salads and condiments, and other uses are as a house hold cleanser, cosmetic aid or health treatment. 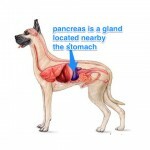 Many also add it to their pup’s food or apply it topically. Vinegar, especially unpasteurized organic apple sider vinegar has long been considered a wonder food. Let’s look at if vinegar really is a health-improving supplement, a natural preservative, a nontoxic cleaning product, a disinfectant, a source of important nutrients, and an effective topical treatment for canine ailments? Some claims made by vinegar proponents are supported and some or not. 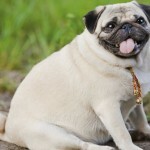 In this article you will find out facts about apple cider vinegar (ACV) and other vinegars to help you determine whether and when to use it for yourself and your pup. It means wine and comes from the Latin words vinum and acer (which means sour). Vinegar can be made from fruit juice to plain sugar water, basically any liquid that contains sugar. Within a few days of being exposed to air, naturally occurring or added yeasts cause the sugar to ferment, turning it into alcohol. Thereafter, if the process is not interrupted, fermentation continue in response to naturally occurring or added acetic acid bacteria until all of the alcohol becomes acetic acid. Vine, beer and ale are used to create wine and malt vinegars. Some of the factories shorten the fermentation process by adding modern bacterial cultures and special pumps, but traditional vinegars are still made the old-fashioned way. Vinegar has a low pH. On the pH scale, water is neutral at 7.0, tomato juice is at 4.1, distilled white vinegar is more acid at 2.4, and the pH of leman is 2.2. Apply cider vinegar tends to be less acidic with a pH between 4.25 and 5. The earliest known vinegars was made about 5,000 years ago in Babylon from fermented dates. In ancient Rome, fermented rye, figs, grapes, and dates were popular ingredients. Today’s vinegars are mad from corn, barley and other grains; grapes; apples; and other fruits. Vinegar sales are approaching $225 million annually, with the fastest growth in organic vinegars. Nearly half of the vinegars sold North America is balsamic, with red wine vinegar the next most popular at 13 percent and cider vinegar tied with rice wine vinegar at 8 percent each. Only 1 percent of sales go to distilled white vinegar. However, distilled white (usually made from corn) and distilled apple cider are the most popular supermarket vinegars. These inexpensive vinegars are filtered and pasteurized to make the sparkling clear. Better-quality wine, cider or malt vinegars are often aged for years in wooden barrels to improve their flavor and left unfiltered and unpasteurized. There is a world of difference between distilled or rapidly produced vinegar and traditionally made vinegars that ar brewed slowly in small batches and aged to perfection. Apple cider vinegar is usually light golden brown or orange in color. While the acidity of homemade cider vinegar varies, most manufacturers maintain a 5-percent acetic acid level, which is recommended for the safe pickling and preserving low-acid foods. One way in which vinegar promotes health is throught its effect on digestion. By itself vinegar may not contain significant vitamins and minerals, but when combined with food that do, it helps the body assimilate those nutrients. Acetic acid, like other acids, can increase the body’s absorption of calcium and other minerals. Some nutrition experts including Donna Gates, author of the Body Ecology Diet, recommends sipping 1 teaspoon apple cider vinegar in a glass of warm water while eating a protein in order to stimulate the body’s production of hydrochloric acid to enhanced digestion. Antiseptic properties. Vinegar has antiseptic properties that help prevent growth of harmful bacteria and viruses in the digestive tract. As a bonus, it does not interfere with the body’s beneficial bacteria, which are the immune system’s first line of defense against harmful microbes. A 2005 study at Arizona State University tested patients with type 2 diabetes, prediabetes, or no symptoms of diabetes, as they consumed a breakfast containing 87 grams of carbohydrates just after drinking a glass of water containing either 2 tablespoons apple cider vinegar or a placebo. Vinegar consumption slowed the rise of blood sugar in all three groups, up to 34 percent. Based on studies done with rats or in test tubes, the researchers speculate that vinegar interferes with the absorption of high-carbohydrate foods. 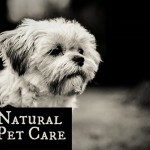 -Plain vinegar and herbal tinctures containing cider vinegar repel insects, including fleas and mosquitoes. Spray the neck, torso, tail, underbelly, and overall coat (avoid the eyes, nose, and mouth) and let dry. -After shampooing, give a final rinse with 1 cup vinegar diluted in 2 to 4 cups water. Experiment with different dilutions for best results. 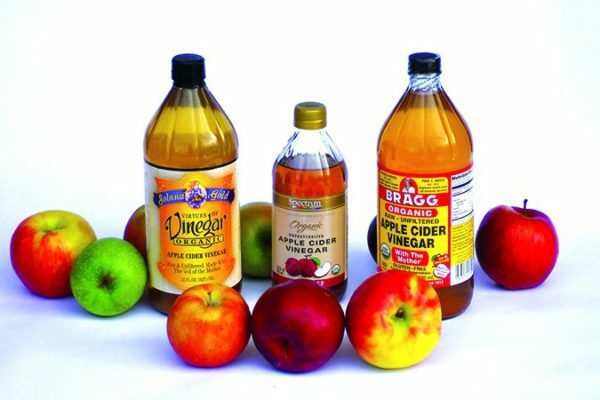 -Reduce dander by massaging full-strength cider vinegar into the coat before shampooing. In her book Herbal Recipes for Vibrant Health, Gladstar describes the traditional or simpler’s method of tincture making, which she prefers. All you need are herbs, the appropriate menstruum (alcohol, vinegar, or glycerin base), and a jar with a tight-fitting lid. “This extremely simple system produces a beautiful tincture every time,” she says. 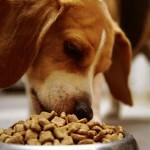 Because dogs contact household surfaces directly and indirectly, chemical exposure is always a consideration. Distilled white vinegar is so versatile that some reports list more than 400 household applications.